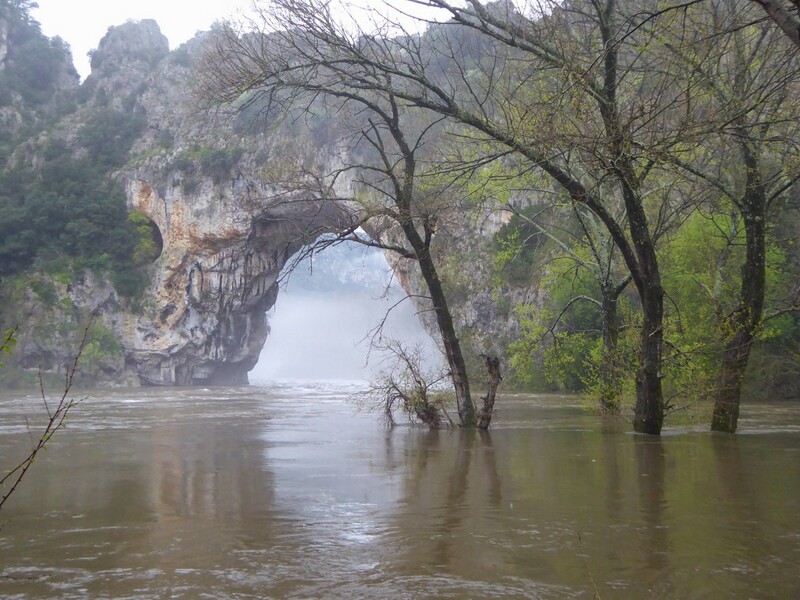 Pont d’Arc in France experienced flooding on April 4, 2016, as can be seen in the two photos below showing the Ardeche River at normal flow followed by a photo on April 4. 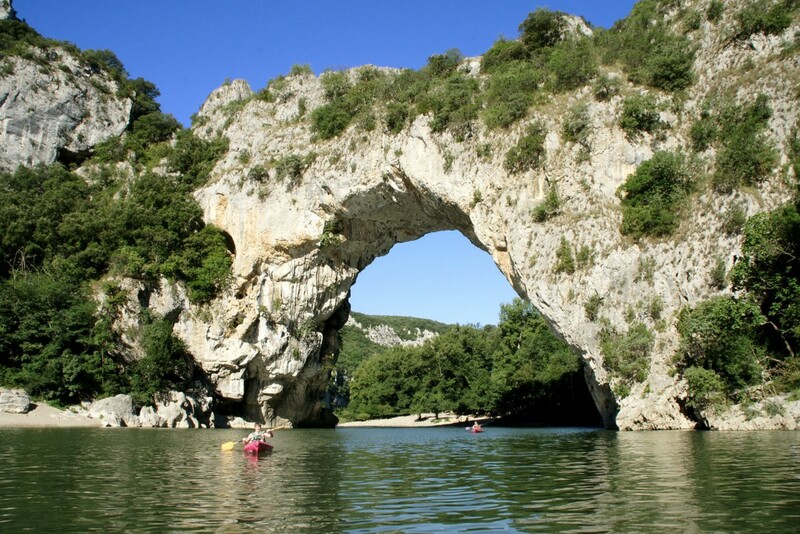 Pont d’Arc at normal flow. Pont d’Arc on April 4, 2016. Photo courtesy Guilain Debossens. A much larger flood occurred on September 19, 2014, as can be seen in the first 30 seconds of the video below. 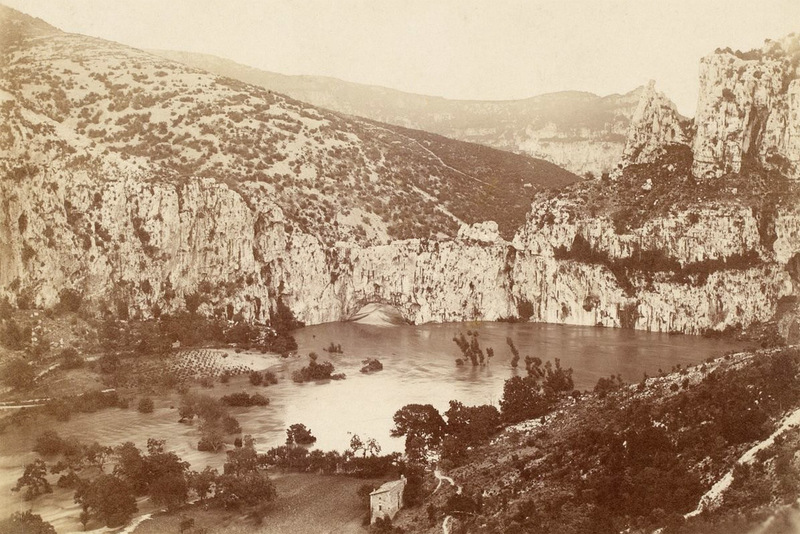 Guilain Debossens reports that there is an historic plaque fixed on the cliff two meters above the road at the entrance of the Gorges de l’Ardèche. 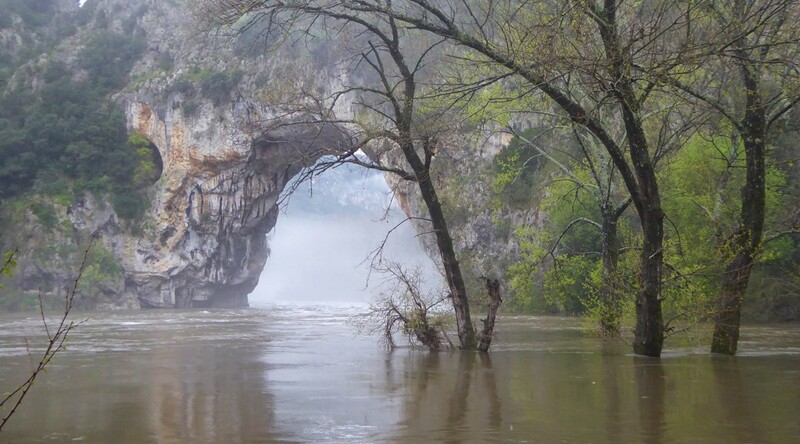 The plaque indicates that the Ardèche River reached the level of the plaque, 55 feet above normal flow, during the historic flood of September 22, 1890. It was the most severe flood since man developed photography, but not of all time of course. Guilain found the photo below taken during this historic flood. The text written on the back said the flood was so huge that the Ardeche River retook the abandoned meander during this event.